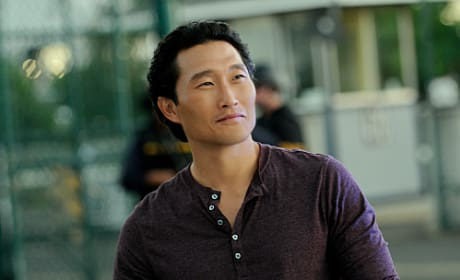 Daniel Dae Kim has made a nice transition from Lost. He gets to smile more often as Chin Ho on Hawaii Five-0. McGarrett looks on in this scene from the 11/1/10 episode of Hawaii Five-0. We delve into the character's past as a SEAL on the installment. Kelly Hu guest stars on the 11/1/10 episode of Hawaii Five-0. Her character shakes the hand of Danno in this scene.